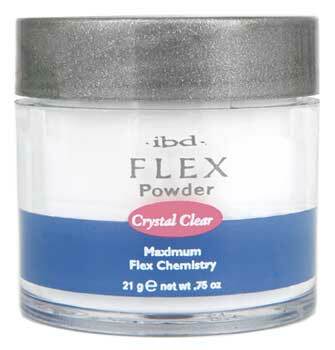 This triple milled powder with Flex Chemistry provides maximum flexibility with no lifting, cracking or bubbles. A quicker set time than traditional acrylics allows the technician to create beautiful nails in minimum time. Superfine powders come in 3 beautiful colors Crystal Clear - a glass like clear with no shading or discoloration - Translucent Pink - to enhance any natural nail color and Bright White - the perfect white for a beautiful French.